On Friday afternoon at the McKernan Events Center in Albuquerque, New Mexico the weigh-in for Saturday night’s Elite Combat Series 1 card took place. The professional side of the card’s weigh-in saw three fighters come in over their weight limits but SWFight can confirm that all fights will proceed as scheduled. 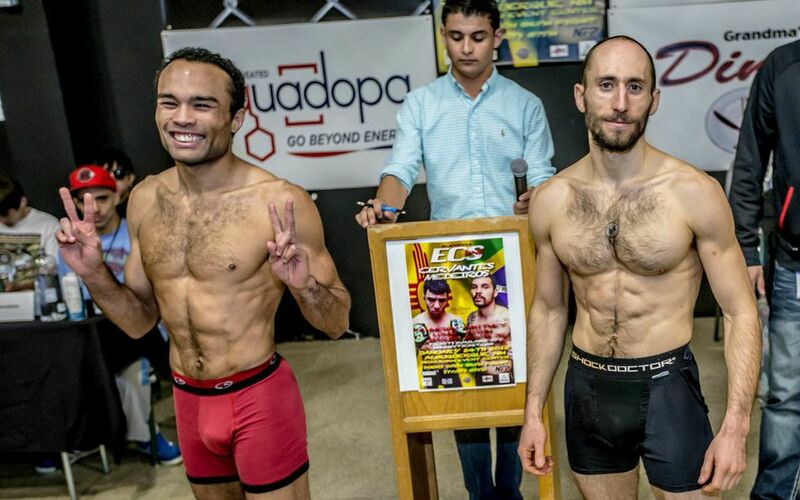 The main event participants New Mexican Stephen Cervantes and Brazilian Romula Vilhena Medeiros weighed in at 137lbs and 139.8lbs, respectively for a bout scheduled at 137lbs +/-2lbs. Tickets to Elite Combat Series 1 run between $25-$45 and can be purchased at the door tonight. Doors open at 6pm with the first bell set for 7pm. *indicates fighter was overweight on first attempt.